I love dahlias! Because they are a favorite of mine, I’ve made a few versions of this flower. I once even made a Dahlia dress. 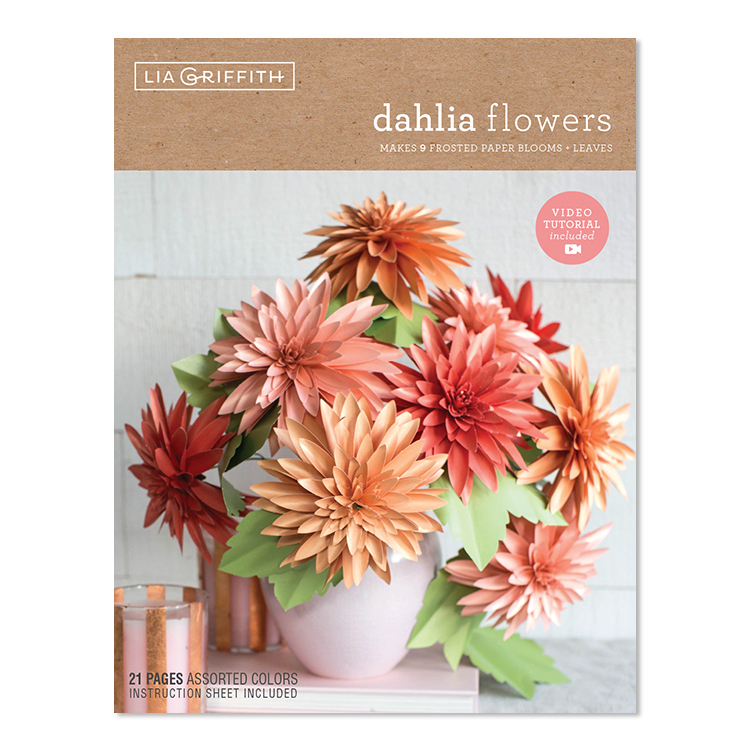 If you’re new to making paper flowers, you’ll want to check out our frosted paper dahlia flower kit. It’s great for beginners, and because all the sheets are die-cut, it makes this flower much quicker to craft! You can find this flower kit in our online craft shop. It’s also available on Amazon! Dahlias have such great texture. 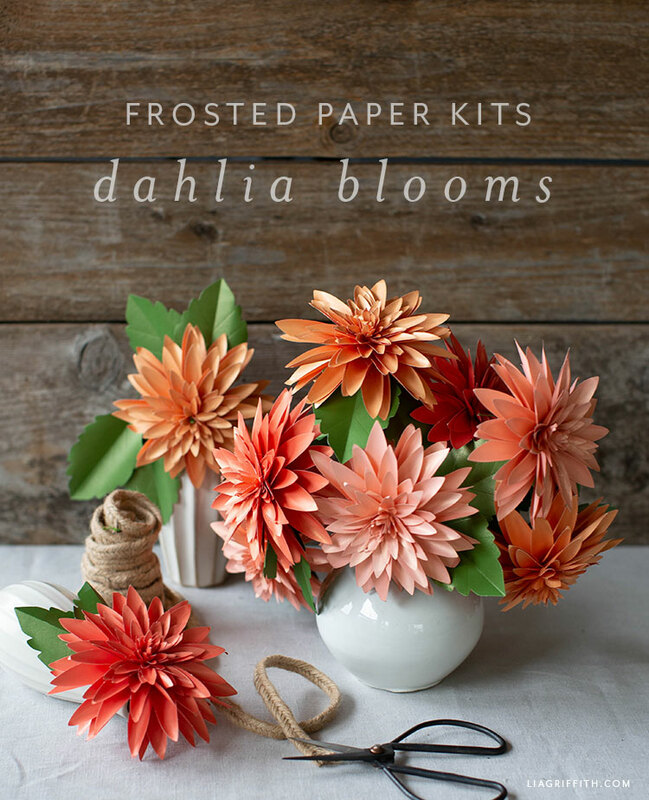 And with our frosted paper dahlia flower kit, you can make the nine blooms you see here–plus the leaves. Inside the flower kit, you’ll find 21 die-cut sheets of frosted paper, a tools and materials list, and written-out instructions. You’ll also get a link to a video tutorial, which we’re sharing here today. 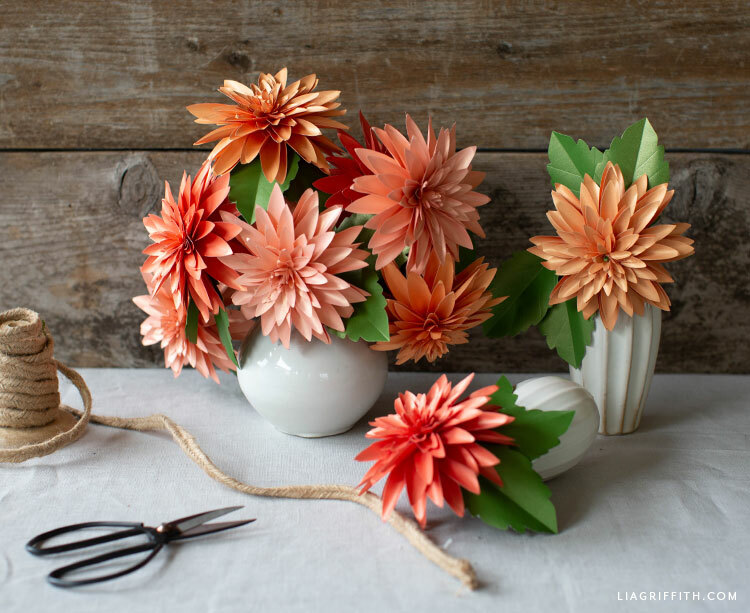 Once you’re done making your frosted paper dahlias, you can proudly display them in a vase! Another fun DIY idea would be to use them in a wreath. Or you can use them as gift toppers (without the stems). Happy crafting! If you have any questions or feedback, let us know. 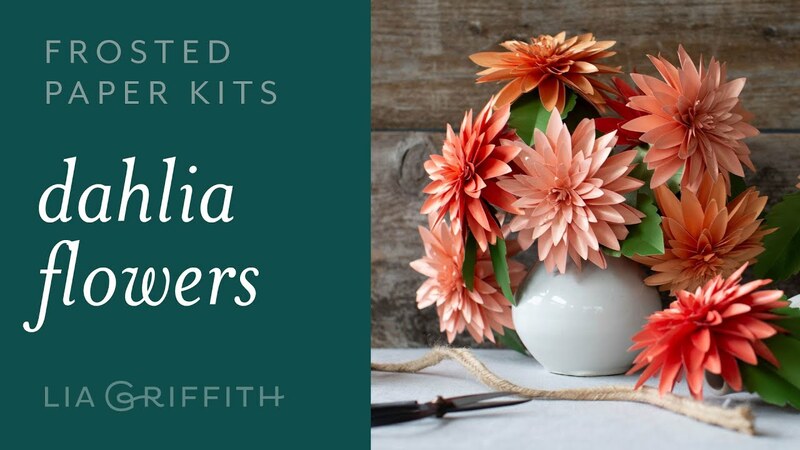 And don’t forget to check out our video tutorial below for this flower kit! 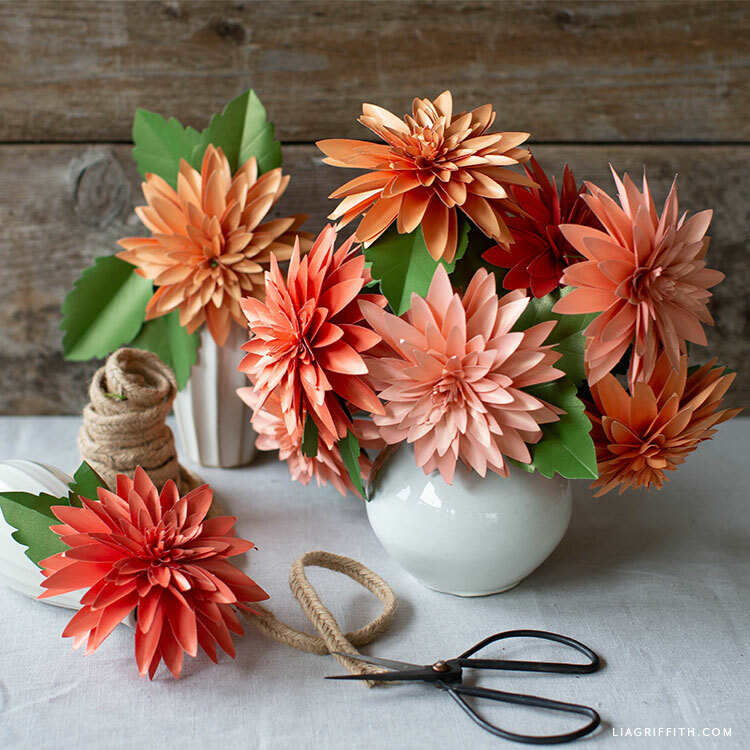 After you’ve punched out all of the pieces from your frosted paper dahlia flower kit, just follow the step-by-step tutorial included in the kit. Or watch the video below! We would also love to see your flowers when you are done with them! You can share photos of your finished flowers on your Facebook or Instagram with the hashtag #MadeWithLia. Or you can message us privately on Facebook or Instagram.